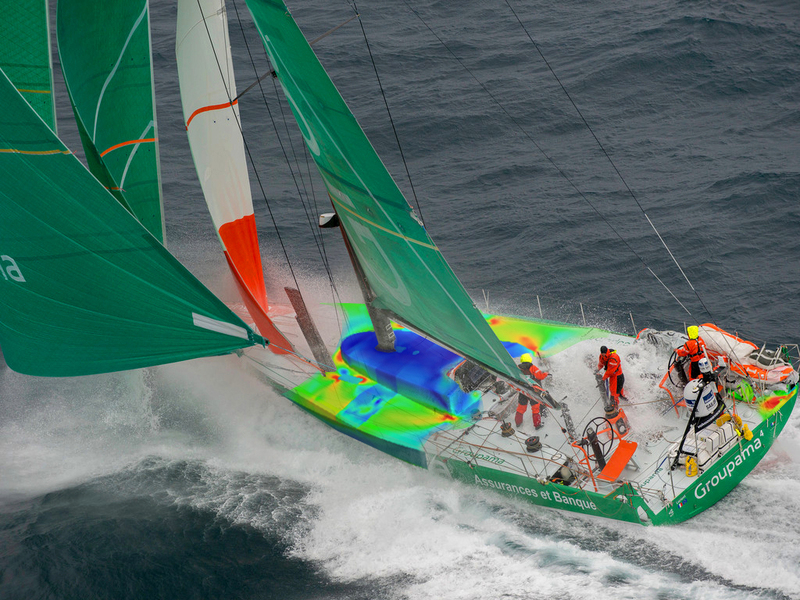 TROY, Mich. – July 19, 2012 – Altair Engineering, Inc., announced today that its HyperWorks CAE platform has been used by [AB]structures, an Italian structural design and engineering company, to structurally design and optimize the winning yacht in the Volvo Ocean Race, Groupama 4. The yacht, skippered by Franck Cammas, claimed victory in the Volvo Ocean Race on July 9 in Galway, Ireland, after nine months and more than 37,000 nautical miles sailed around the world under the harshest conditions. Groupama winning the overall title, scoring the highest points of the offshore long distance legs and short course inshore racing series combined. The yacht of Puma Ocean Racing powered by Berg, finishing third overall and winning the overall inshore racing championships. Team Telefonica followed in fourth-place overall, after initially winning the first three legs of the race. With the naval architecture carried out by Juan Yacht Design, each of these teams required different solutions from [AB]structures and pushed the design envelope. The [AB]structures engineers employed several HyperWorks tools in the development of the successful yachts. They used HyperMesh, the meshing tool of the suite, to create finite element models, OptiStruct for optimization, the RADIOSS solver for linear and non-linear analysis, and HyperView to post-process the results. The Engineers used the tools extensively to design and optimize the carbon structures of all three Volvo Open 70 yachts and to help again achieve fundamental structural improvements over the older-generation yachts that competed in the 2008 edition of the Volvo Ocean Race. The combination of continuously updated, cutting-edge CAE technology and the extensive hands-on experience of [AB]structures’ designers has enabled the engineering company to deliver the best design for lightweight structural projects in all regions of the world. [AB]structures intends to continue working with Altair and HyperWorks on current and future projects, such as the Artemis Racing AC72 catamaran and wings for the 34th America´s Cup 2013. 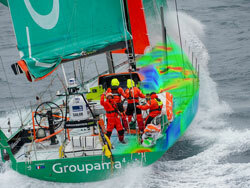 Images VO70 Groupama courtesy of [AB]structures. Original images Paul Todd/Volvo Ocean Race. [AB]structures provides innovative design solutions for lightweight structures in both advanced composite materials and high-performance metal alloys. [AB]structures relies on more than a decade of experience in operating on the highest level in international yacht racing, from America's Cup to ’round-the-world yacht races, such as the Volvo Ocean Race. Additionally [AB]structures is providing its services to the aerospace industry and to the development teams of racing cars. From project brief to concept development and product delivery, [AB]structures follows the optimized lightweight approach all the way. [AB]structures is currently focused on structurally designing the Artemis Racing AC72 catamaran and wings for the 34th America´s Cup 2013. For more information, please visit: www.abstructures.com, www.artemisracing.com. Built on a foundation of design optimization, performance data management and process automation, HyperWorks is an enterprise simulation platform for rapid design exploration and decision-making. As the most comprehensive, open-architecture CAE solution in the industry, HyperWorks includes best-in-class modeling, analysis, visualization and data management solutions for linear and non-linear, structural optimization, fluid-structure interaction and multi-body dynamics applications. Visit www.altairhyperworks.com. Altair Engineering, Inc. empowers client innovation and decision-making through technology that optimizes the analysis, management and visualization of business and engineering information. Privately held, with more than 1,500 employees, Altair has offices throughout North America, South America, Europe and Asia/Pacific. With a 26-year track record for high-end software and consulting services for engineering, high-performance computing and enterprise analytics, Altair consistently delivers a competitive advantage to customers in a broad range of industries. To learn more, visit www.altair.com and www.simulatetoinnovate.com.